ECAs are now the world's biggest class of public finance institutions operating internationally. As such, they facilitate a huge number of international projects. Unfortunately, ECAs still operate in a largely opaque environment so tracking their involvement in projects is not straightforward. 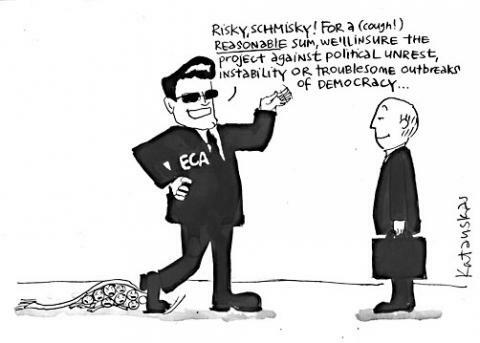 The NGOs which form ECA Watch do attempt to monitor ECA involvement in some projects with particularly concerning environmental or human rights implications. Explore some of these specific projects using the drop-down menu above, or via the links to the left and the news items below. This symbol indicates that ECA Watch members are actively working on the Dodgy Deal. Find more publications related to Debt in the publications section.